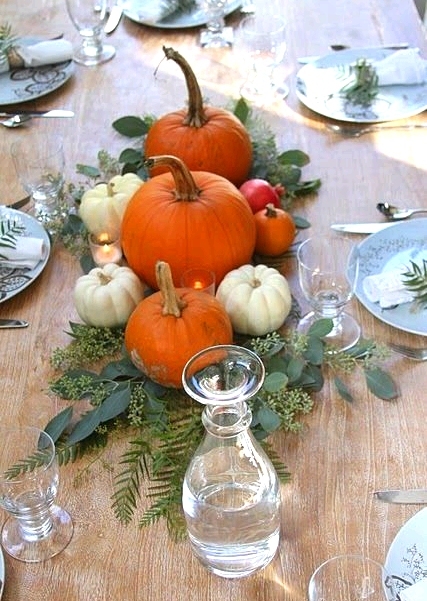 Since we've got plenty of time while we wait for the Great Pumpkin to arrive, why not put together a fall pumpkin themed centerpiece for your table - or take it even further and create an autumn pumpkin tablescape? 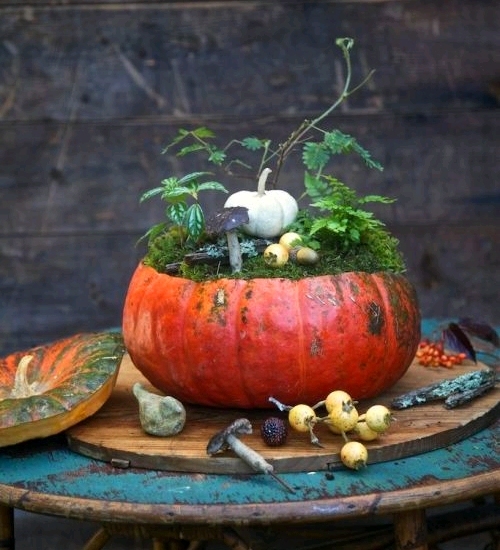 Nowadays we have so many options - not just orange! 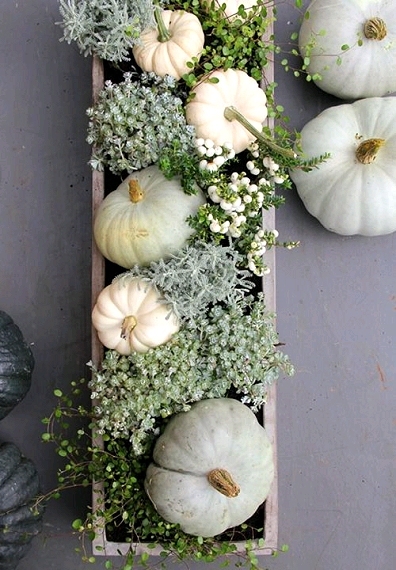 White and green pumpkins are at the height of their popularity right now. 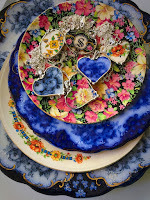 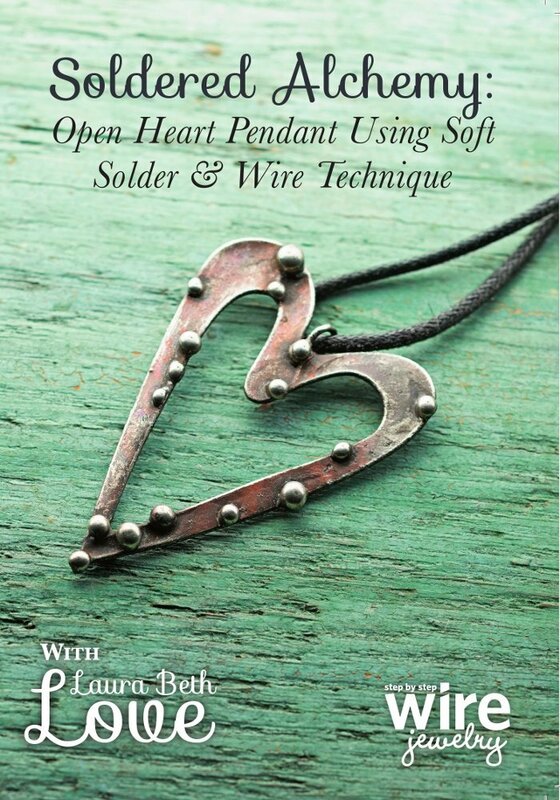 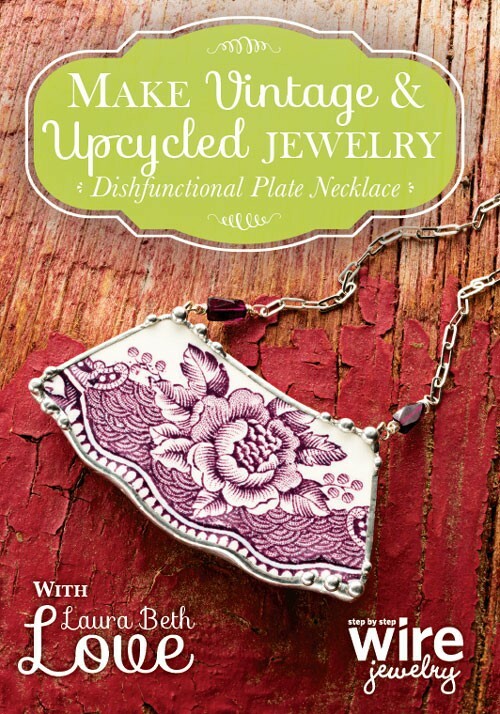 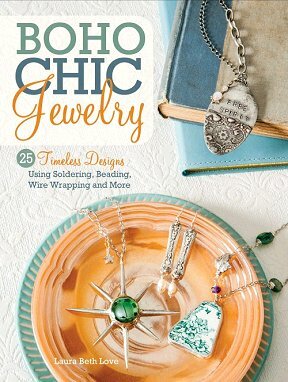 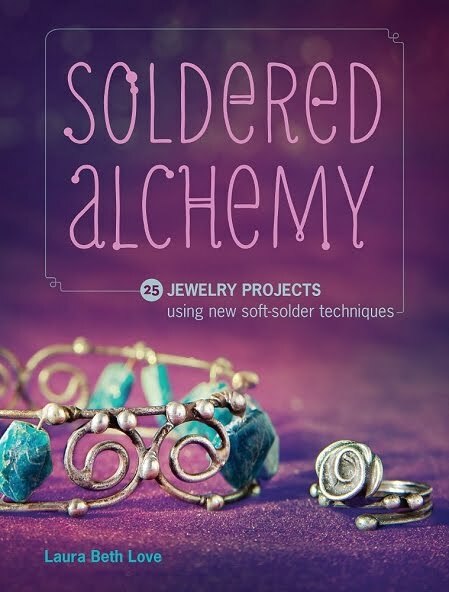 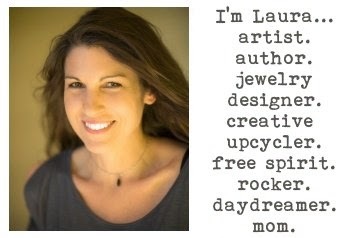 Feeling super-inspired and creative? 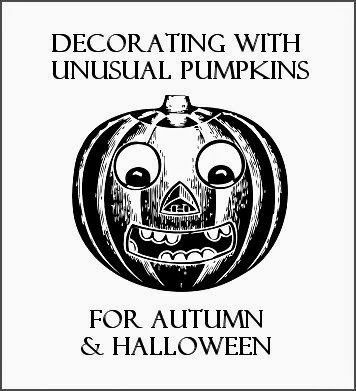 Then you might just want to paint your own pumpkins or gourds whatever color you choose, giving them the ultimate personalized look! 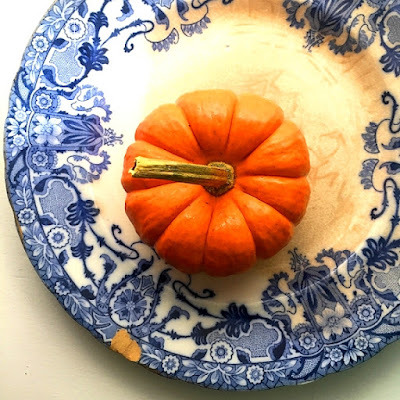 I've chosen a few of my favorite pumpkin centerpieces and tablescapes below to awe and inspire you, and maybe give you a few ideas. 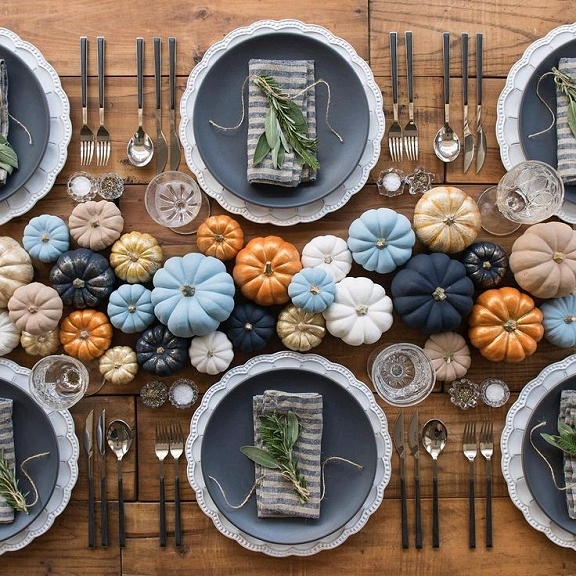 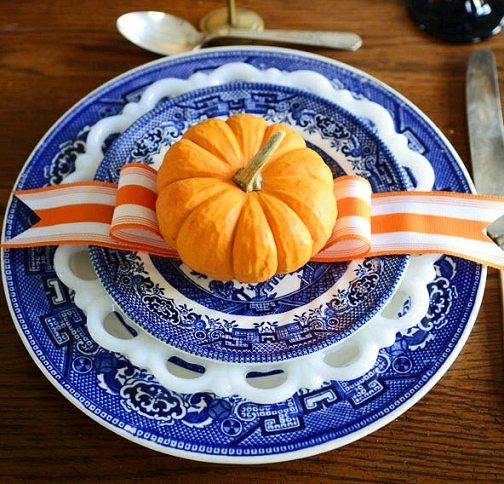 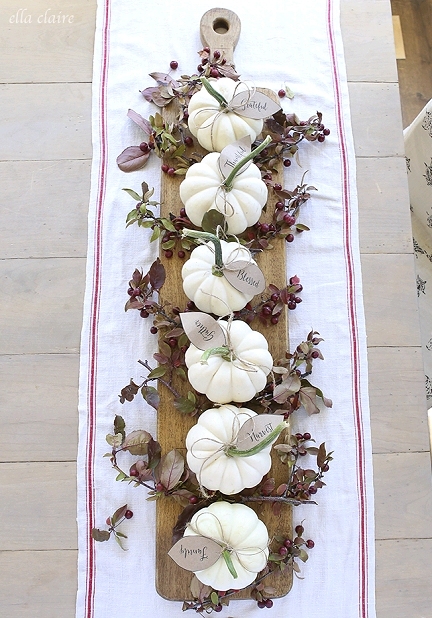 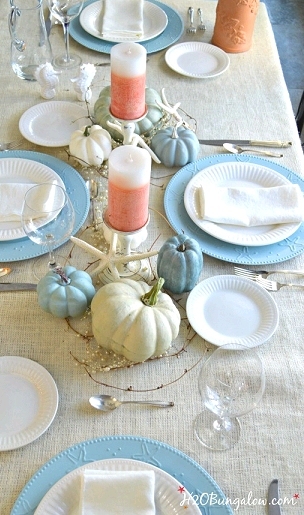 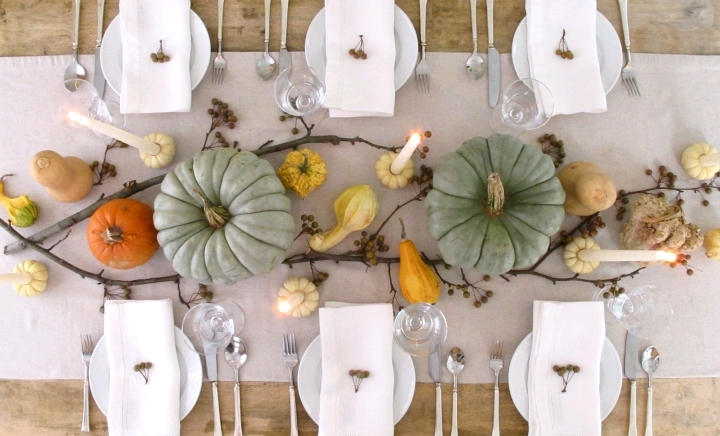 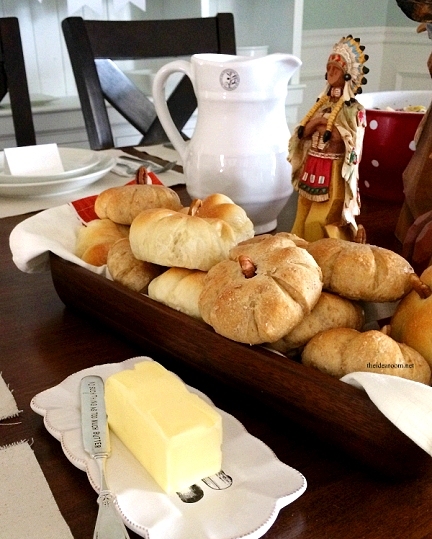 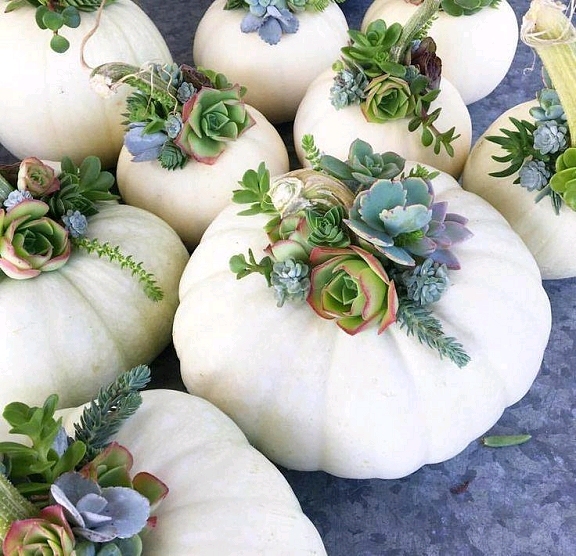 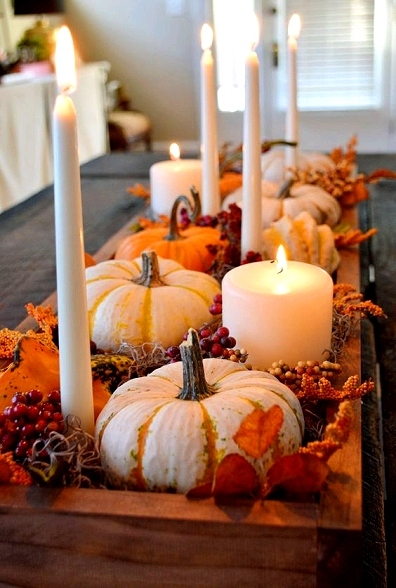 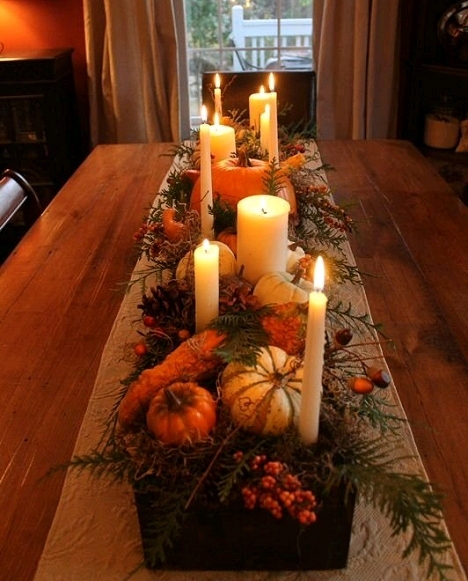 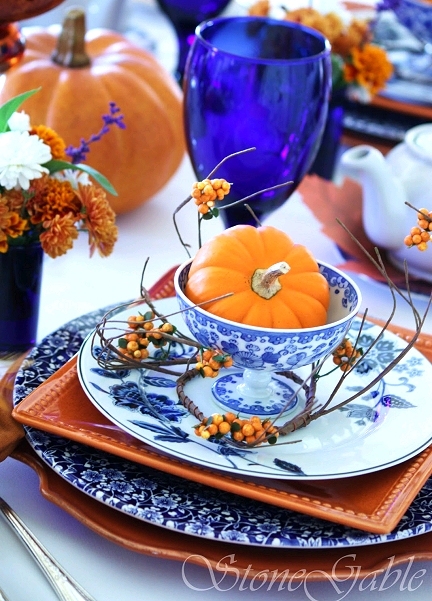 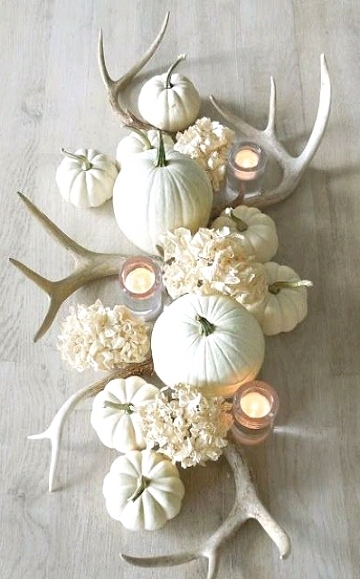 Use them as inspiration for your fall, Halloween or Thanksgiving tables. 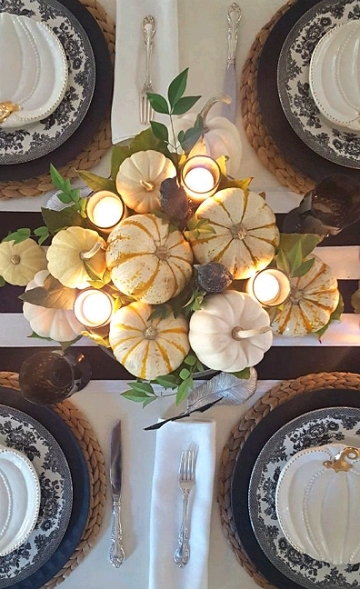 Click the photo or text below it to visit the original post! 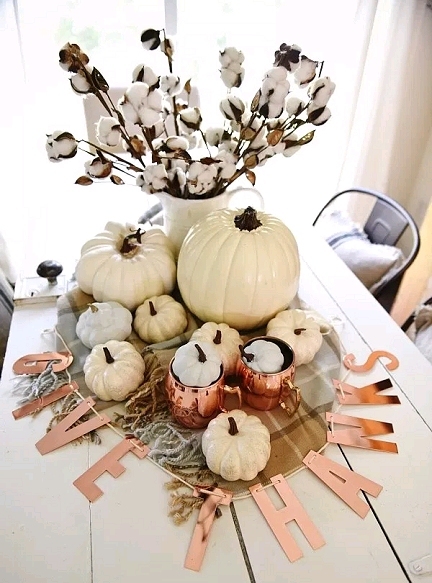 Let me know which you like the most by leaving a comment below! 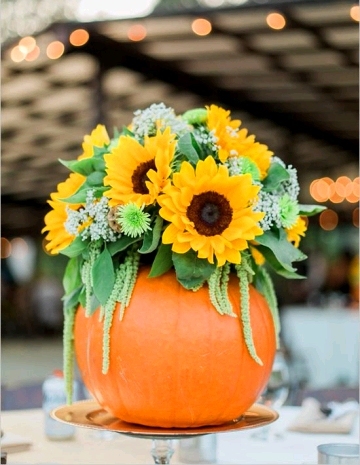 Use a hallowed pumpkin as a vase and fill with seasonal flowers.